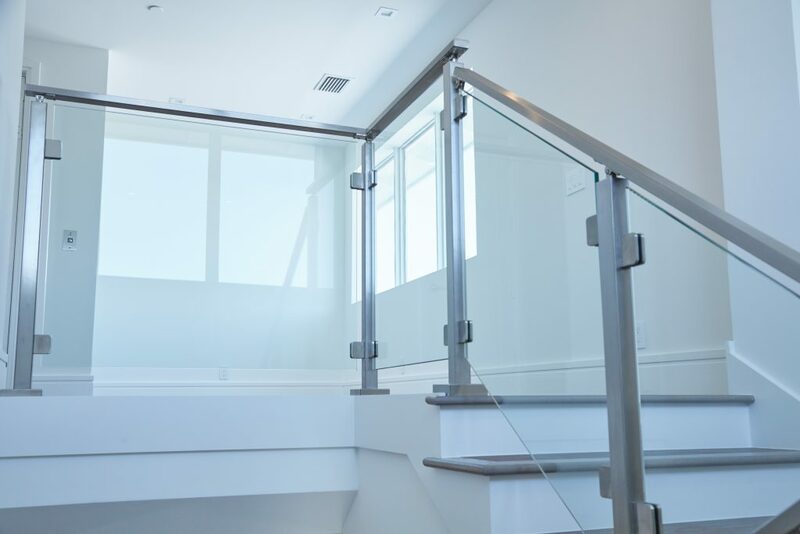 A fresh, minimalistic glass railing system blends in perfectly with the surrounding white walls and numerous windows of this condo. 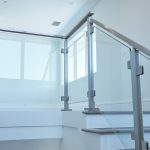 Brushed stainless on the sleek handrail stands out against the white wall, serving as an anchor and an accent all at once. 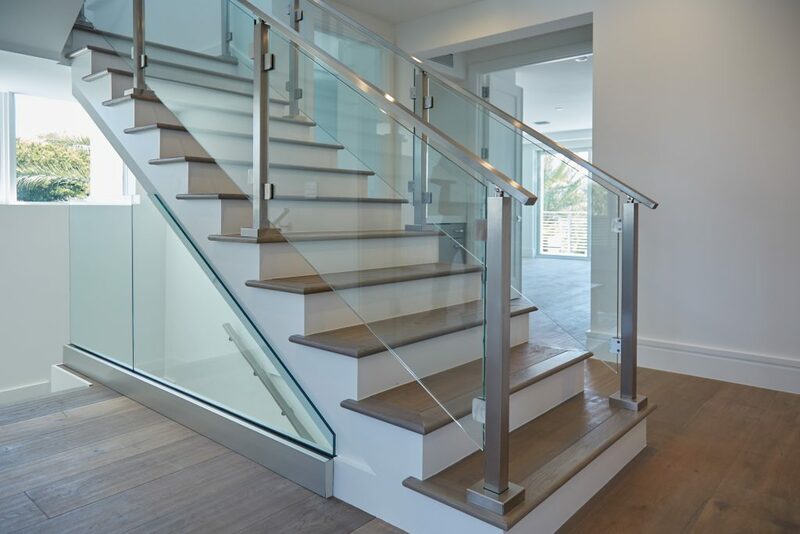 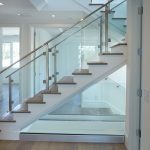 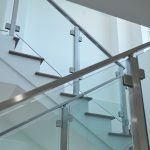 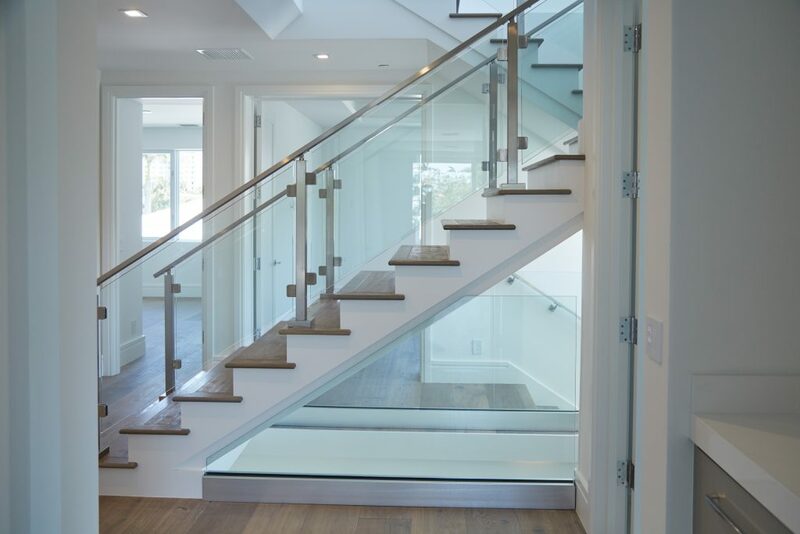 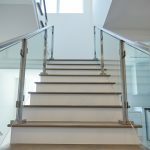 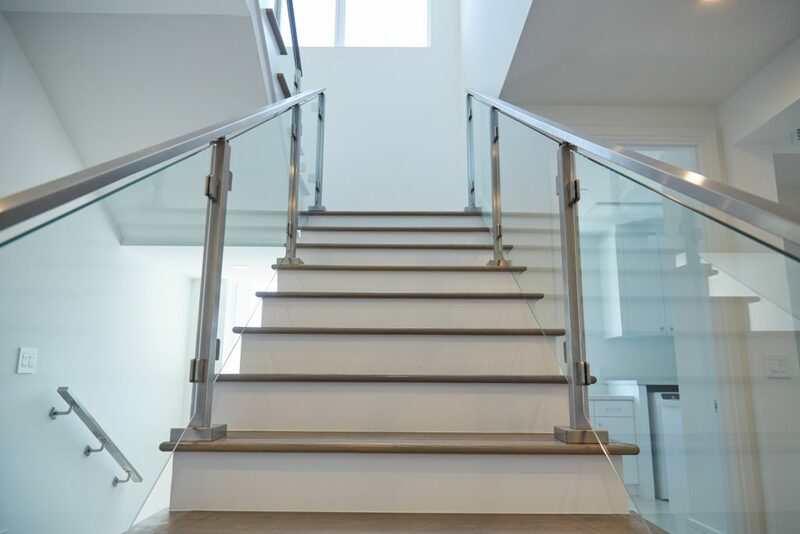 Clear glass in a base rail highlights the simple lines of the staircase in a configuration that is both elegant and unique. 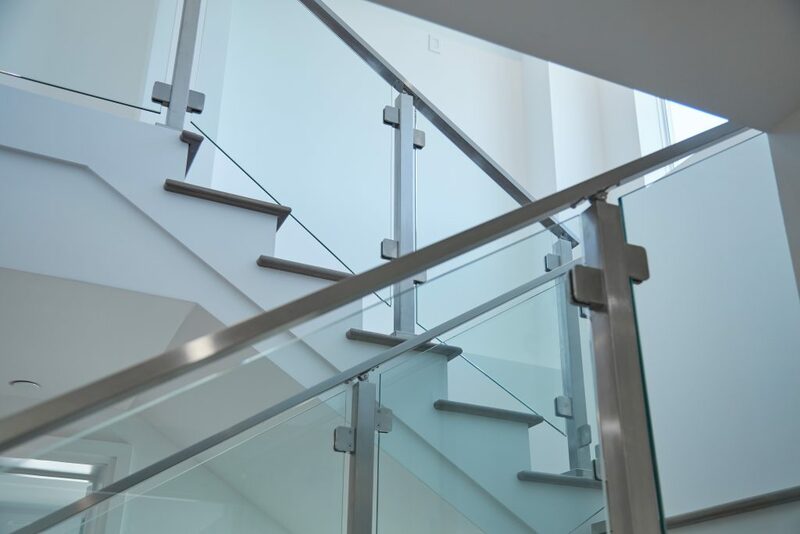 Clean and modern without being sterile, it’s a beautiful example of everything we love about our glass railing system.